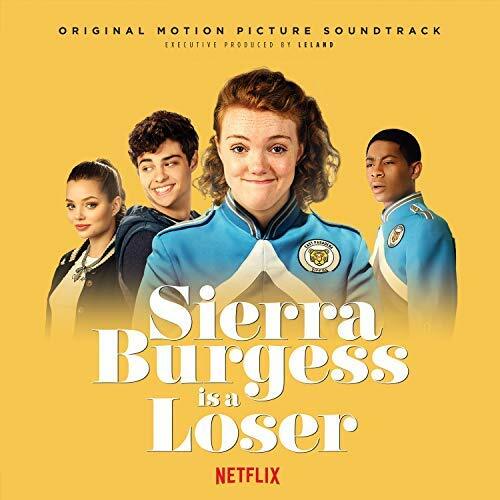 The hottest new teen romantic comedy, Sierra Burgess is a Loser, has teens confused with the concept of the movie, but still has them falling in love with the actors especially Noah Centineo. Noah Centineo seems to be the center of these hot new Netflix movies. Having done To All the Boys I’ve Loved Before with Lana Condor, he has teenage girls falling in love with these stereotypical visions of high school. Sierra Burgess is a modern retailing of Cyrano de Bergerac,which was written in 1897 by Edmond Rostand. The play itself is a fictional tale written about a real life guy named Cyrano, who is a very gifted musician/poet. He has a big nose which he is self-conscious about and as the story goes on he has a crush on a beautiful woman named Roxanne. But because he is so worried that she’s going to think that he’s ugly, he decides to help his friend Christian, who is more handsome, but less articulate than him get the girl. This is essentially the same plot as Sierra Burgess, except that Sierra Burgess is more modern. The storyline of Sierra Burgess is a Loser is basically a case of mistaken identity, which leads to an unexpected romance. Burgess is a typical teenage girl. In the movie, she is represented as an overweight loser, and a reject. She gets a text from this guy, Jamie, who is a really cute football player and goes to another school. Now, he believes he has been texting this gorgeous cheerleader, Veronica. The mishap is that Veronica purposely gave Sierra’s phone number to Jamie because Veronica believes that Jamie is a loser and losers belong with losers. This movie is fundamentally a catfish movie where Sierra pretends to be Veronica and Veronica helps Sierra pretend to be her, all for Jamie. To start off, I feel that this is one of those films that is really hit or miss throughout the whole thing, but I feel that they had a lot of young, talented actors who were able to bring the characters to life with very limited resources. The main focus of the movie would be Sierra and Jamie’s relationship and their love story, but I think that the moments that really shined were around Sierra and Veronica’s blooming friendship. Kristine Froseth did an incredible job playing Veronica, she really brought her character to life. We got to understand where she was coming from and the issue she was dealing with her family at home. I believe you can really see the arc that she went through throughout the film of starting off as a shallow, mean girl, a popular cheerleader, who originally wouldn’t give Sierra the time of day, to becoming someone that Sierra is so close with and who she opens up to. As for Sierra’s best friend, Dan, who is played by RJ Cyler, he was very enthusiastic. Dan had a great energy that he brought to the screen. Unfortunately, he wasn’t in the film as much, and we didn’t really learn that much about him other than being this shoulder for Sierra to go lean on when she needed him. I think it was really impressive how much he was able to do with such a small role. When it comes to Jamie, played by Noah Centineo, I feel the same way. He is a very charismatic guy with a natural sweetness, but I feel like this movie didn’t really give him a lot to work with. As the movie goes on, you would think that there would be a big climax of anger or disappointment in Noah Centineo’s character, but they kept him as a genuinely nice guy and moved on with that. Getting into Shannon Purser as Sierra Burgess, I have to say there were some scenes that were a lot of fun, sweet, and I enjoyed watching. For those who have watched the movie know what I’m talking about when I say at the beginning of the film where Jamie had just started texting Sierra and it was just this sweet innocence, very natural, very realistic of this generation’s way of meeting someone new. Although, sometimes there were some plot points that were a little creepy, and that didn’t really make sense. For instance, when Sierra doesn’t want to talk to Jamie because she doesn’t want him to recognize her voice after all the phone calls they’ve had, so instead she pretends to be deaf. I believe as if that was insensitive in a way, they could have made her lower her voice or have made it higher. Even when Sierra and Veronica switched places so Jamie ends up kissing Sierra without his knowledge or consent. It just wasn’t a really fair thing to do. Or when Sierra exposes Veronica for getting dumped through DM by her ex, who attends college, to the whole school at the very end of the film because Sierra saw Jamie kiss Veronica thinking he was kissing the girl he has been texting and talking to on the phone. I felt as if that happened so abruptly, and then right away we’re supposed to kind of get into this whole resolution to fix everything, but it just happened too quickly and it wasn’t very realistic. I don’t think these were issues on the actors’ side, I feel like there were just some major missteps in the script, and because of that I had a really rough time contemplating my disbelief when Jamie ends up deciding that he does like Sierra as herself by the end. In my opinion, Sierra didn’t really deserve the ending that was given to her. Overall, I would rate this movie a 6.5/10.